Are you looking for something just a bit different to do during your next visit to Branson? If so, the Showboat Branson Belle is your opportunity to explore the best of everything America’s favorite family entertainment destination has to offer! Nowhere else in Branson can you experience live music, delicious dining and incredible views all while cruising the shimmering waters of Table Rock Lake. Here are just a few reasons why the Showboat Branson Belle is called America’s Most Entertaining Lake Adventure. 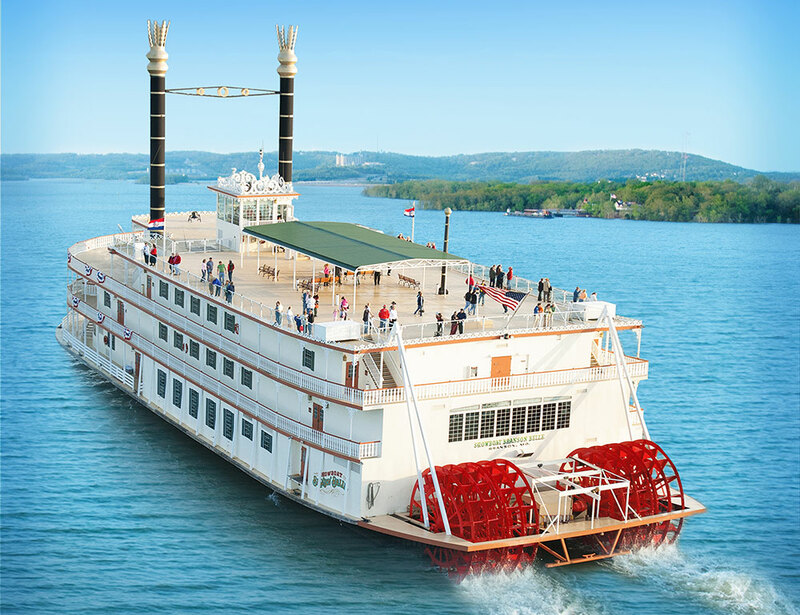 One of the most enticing features of a cruise aboard the Showboat Branson Belle is the opportunity to spend time on beautiful Table Rock Lake. Four grand decks afford guests plenty of room to stroll along and enjoy the scenery. 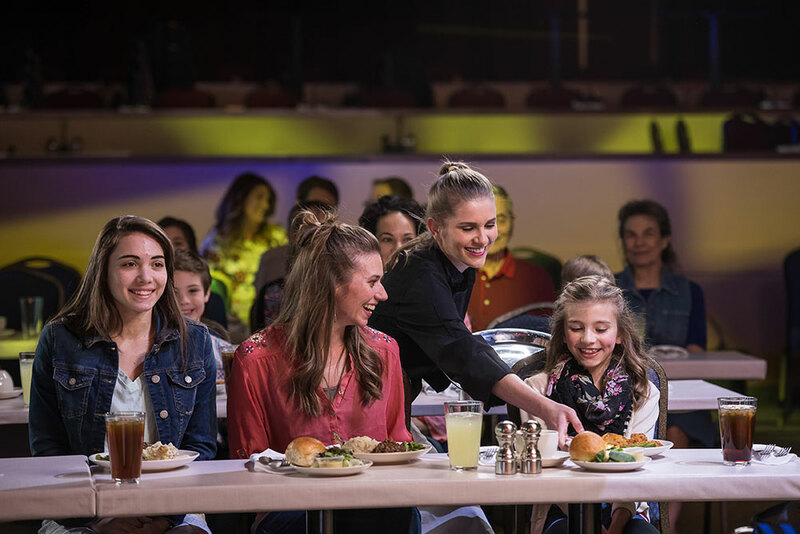 The lake experience is featured prominently with an extended intermission between the meal service and the start of the show, leaving plenty of time for guests to relax and enjoy their time outside at a more leisurely pace. The time between meal and show isn’t just an intermission, but an open-air extension of the entertainment experience. Scores of comfy Adirondack-style chairs provide a kicked-back atmosphere for guests to take in gorgeous views of the Ozarks while enjoying live music. Another unique feature of the Showboat Branson Belle experience is the delicious 3-course meal you’ll enjoy during your cruise. Each meal is freshly-prepared in the ship’s galley and served by an outstanding wait staff. The menu includes something everyone will love including honey citrus chicken and slow-cooked pot roast, garlic mashed potatoes and buttered sugar snap peas with glazed carrots. The meal is accompanied by a mixed garden salad, a freshly baked roll and lemon ice cream torte for dessert. A special kid’s meal is available for younger guests and most dietary restrictions can be accommodated. If you’re looking for a customized experience, then look no further than the Captain’s Club. Captain’s Club guests will enjoy the best seats in the house, located in the first three rows of the balcony. An outstanding view of the stage isn’t the only benefit to cruising in the Captain’s Club -guests also receive priority boarding as well as the opportunity to choose from a selection of premium menu entrees and desserts. Incredible entertainment is woven throughout each Showboat cruise. The stage is set with the hilarious comedy of our emcee. Then, enjoy live music as you dine and during your time on the top deck. 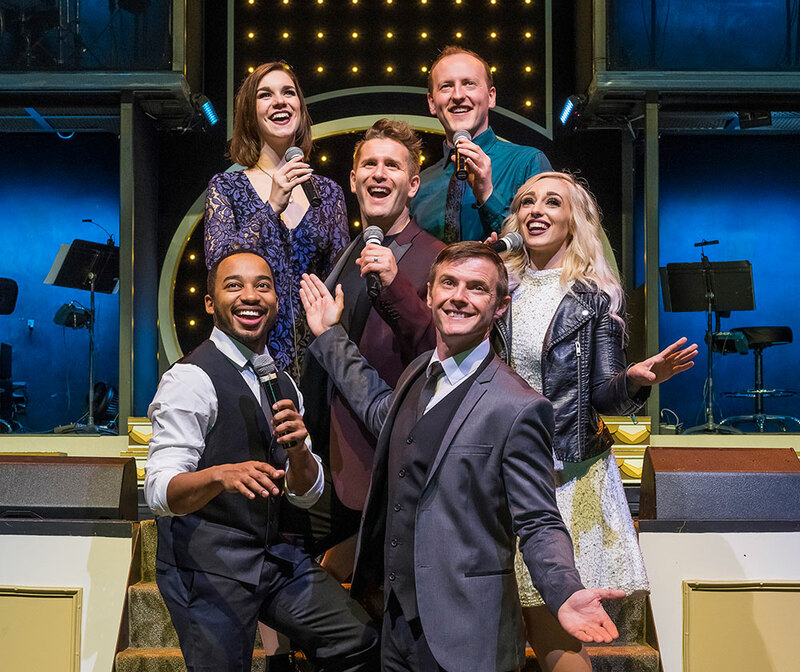 Finally, settle in for a high-energy show full of music, magic, comedy and dance as an ultra-talented cast performs your favorite music from the 70s to today. Plus, enjoy our tribute to some of the most recognizable movie music as the cast performs 25 big screen hits in less than 10 minutes with costume changes! If you’ve never experienced the Showboat Branson Belle, take some time away from the hustle and bustle and treat yourself to an unforgettable journey. The Showboat is perfect for families, for couples, for friends and for group gatherings as well. If you’re a returning visitor, we welcome you back and hope you enjoy all of the new experiences in store for 2018. Explore the experience, view the schedule and get ticket information. Please note: Menu subject to change without notice.